Simply add six or more bottles to your cart to receive this special discount. For any questions contact selma@sodarockwinery.com or call (707) 433-3303. The grapes were hand-harvested and fermented with native yeast in open top fermenters. The resulting wine was aged for 30 months in French oak barrels and bottled unfined. Spicy cherry and blackberry aromas woven with traces of cigar box compose an enticing nose. As the wine opens, savory cedar, coffee and sassafras notes surround a juicy dark cherry core. Vine-ripened plum and warm brown spices appear mid-palate, and then fuse with the flavors as they linger. 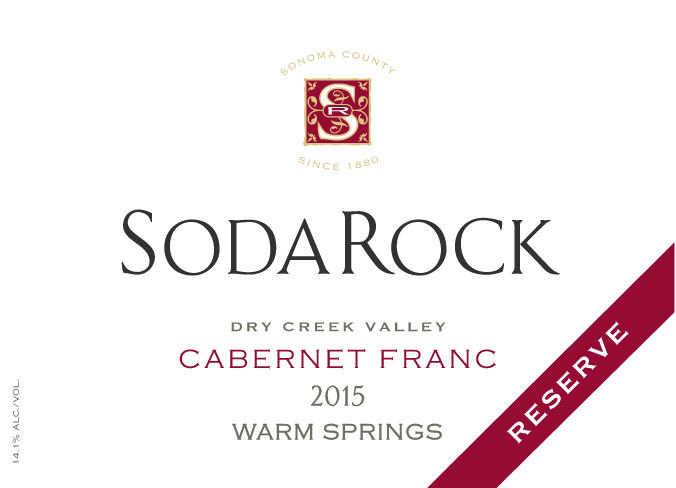 Integrated tannins and fine-grained oak provide a solid framework for this delicious Cab Franc.